Hi guys! Today I have something new for ya: LunaVida's first ever makeup review! I will not pretend that I am even a little bit of a makeup magician. 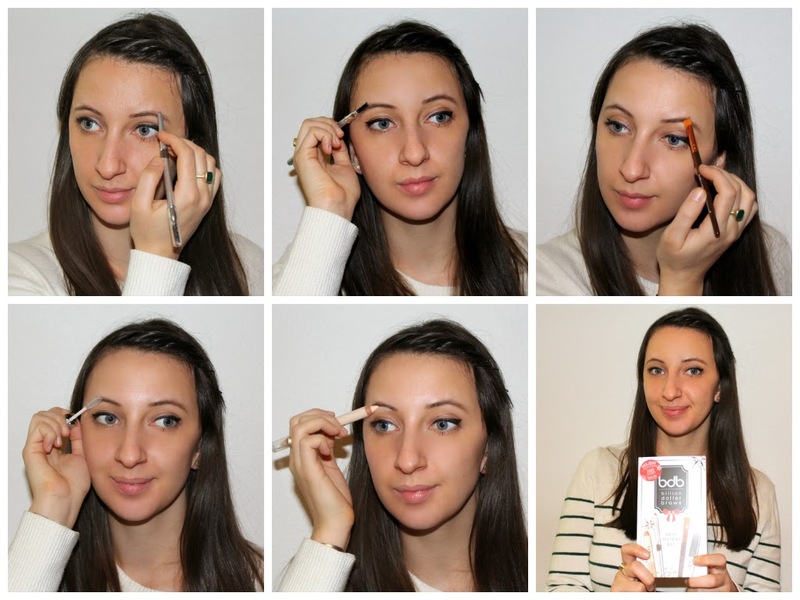 I consider myself pretty average when it comes to applying makeup; therefore, when I was offered the opportunity to review the Billion Dollar Brows Best Sellers Kit, I honestly was a bit intimidated. You see, I was absolutely not born with the big, bold brows that are en vogue right now. Despite the fact that my hair is very dark (what you see below is my natural color - I've never colored or even highlighted my hair before), my eyebrows did not get the memo. They are very light, fine, sparse, and thin. Funny story: all throughout grade school and even part of college, my eyebrows were completely blonde halfway through! I didn't know much about makeup or how to fill them in back then, but I am certainly grateful to know now. I am even more thankful to have had the chance to discover the amazing-ness that is the Billion Dollar Brows "Best Sellers Kit," because it is by far the best eyebrow product I have ever tried. I can't wait to share with you! 2.) Then I took the spoolie brush side of Universal Eyebrow Pencil to brush up the eyebrow hairs to add more thickness and make the pencil look more natural. 3.) I used the Smudge Brush to sweep across the eyebrow again to further make the pencil more even and natural looking. 4.) Apply the Brow Gel to hold everything in place. 5.) For the finishing touch, I applied the Duo Highlighter to the inner corner of my eyes and under the brow bone. (It really lightens up your whole face and makes you look more awake!) I concealed any blemishes with the other side of the pencil. 6.) Voila! You are all ready to take on the day. I would recommend the Best Sellers Kit to anyone who has thin eyebrows, such as myself, or even to those who were blessed with nice, thick brows that need just a little bit of filling in. I will definitely be a repeat customer, because I can't imagine reverting back to my old eyebrow ways! Plus, today is your lucky day, because Billion Dollar Brows is giving away a number of these kits to fans. Enter below for your chance to win! I was given this product to try, powered by BrandBacker. All thoughts expressed are 100% my own opinions and text.